Like many other translators, I have come to appreciate the value and the complications of Internet searches in my work. As the garbage accumulated on the World Wide Web grows ever deeper, focused searches are more important than ever to get past the noise to find the information required, then get back to work. Integrated tools for focused searches on multiple web sites are popular with many. IntelliWebSearch (IWS), memoQ Web Search and similar tools can be an enormous boost to productivity. But I doubt that many people give much thought to optimizing that possibility in general or for particular jobs. will yield only results in German from the Austrian site Jusline, which is very helpful if I am looking for the specific definition of "schwerer Betrug" in the jurisprudence of that country. which will open a Google Images search directly (that's what the argument tbm=isch does), using only pictures culled from the site of the retailer whose material I am working on. and quickly see what the term is about. Astute readers may notice the slight difference in syntax between the search in the screenshot and the Russian example I gave. There is more than one way to skin a cat with web searches. Or a dog in this case. 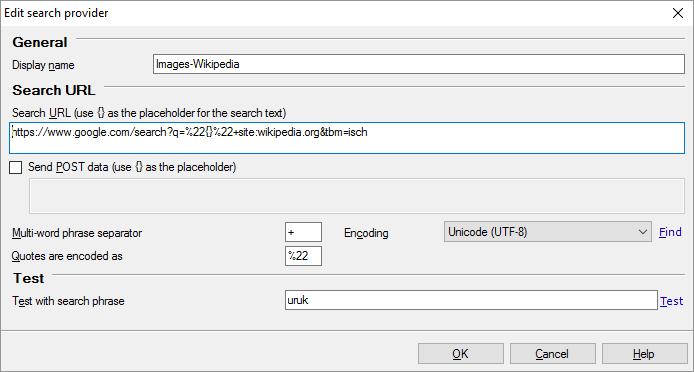 To restrict searches to the wiki for one particular language just add the prefix for that subsite to the URL, de.wikipedia.org for German, for example. 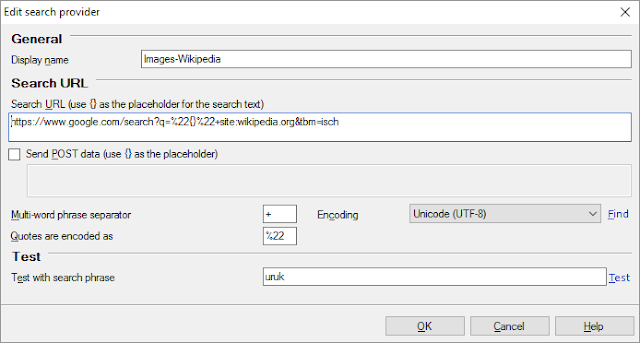 If you need to do such searches from many different applications under Windows, IntelliWebSearch might be a better choice for the preconfigured searches. I think it also handles a lot of tabs better, and it uses the ordinary browser setup instead of the more restricted options of memoQ's integrated mini-browser. I don't really like the fact that IWS keeps adding tabs to the browser, so I close it between searches, and to avoid messing up other work I am doing in Chrome (my default browser), I configure IWS to use another browser like Opera or Microsoft Edge. Anyone who would like the light resource file for one of my German/English profiles for memoQ's web search can get it here. 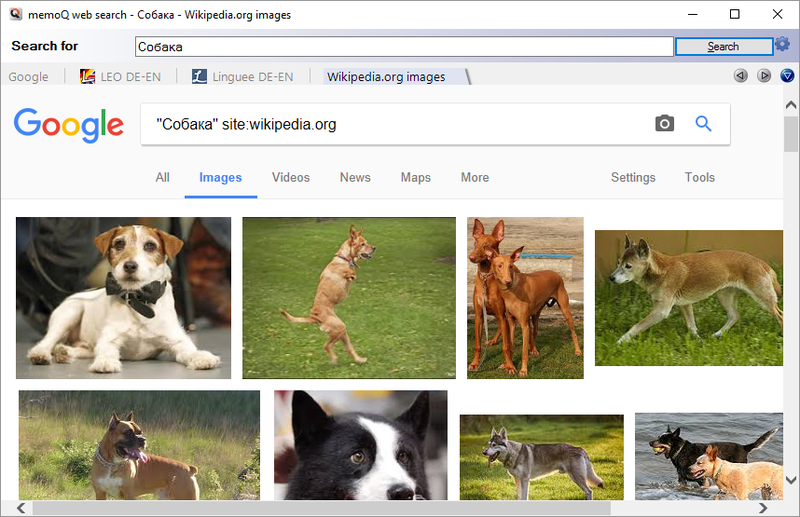 It includes the image search in Wikipedia and has a number of (mostly deactivated) custom search tabs useful for intellectual property translation. A few of the searches are for engines which require manual input of terms, but I find it convenient to have these on a tab for quick access.